The damaged hitch may result in the towed vehicle separating from the motorhome, increasing the risk of a crash. Entegra Coach (Entegra) is recalling certain 2019-2020 Entegra Reatta motorhomes. While the motorhome was being delivered, the tow hitch may have been damaged, compromising the motorhome's ability to safely tow vehicles. Entegra has notified owners, and dealers will replace the hitch, free of charge. The recall began March 15, 2019. Owners may contact Entegra's customer service at 1-800-517-9137. Entegra's number for this recall is 9903429. Jayco, Inc. (Jayco) is recalling certain 2019-2020 Jayco Embark motorhomes. While the motorhome was being delivered, the hitch may have been damaged, compromising the motorhome's ability to safely tow vehicles. Jayco has notified owners, and dealers will replace the hitch, free of charge. The recall began March 15, 2019. Owners may contact Jayco customer service at 1-800-517-9137. Jayco's number for this recall is 9903429. Without the parking brake being engaged, the vehicle may unintentionally move, especially when parked on an incline, increasing the risk of a crash. Entegra has notified owners, and dealers will replace the parking brake cable, free of charge. The recall began March 15, 2019. Owners may contact Entegra customer service at 1-800-517-9137. Entegra's number for this recall is 9903428. Jayco has notified owners, and dealers will replace the parking brake cable, free of charge. The recall began March 15, 2019. Owners may contact Jayco's customer service at 1-800-517-9137. Jayco's number for this recall is 9803428. In the event of a short circuit, the incorrect fuse can increase the risk of a fire. Jayco, Inc. (Jayco) is recalling certain 2019 Jayco North Point and Pinnacle fifth wheel trailers equipped with Carefree Altitude Series awnings. The awning circuit incorrectly has a 15amp fuse instead of a 5amp one. Jayco has notified owners, and dealers will replace the 15amp fuse with a 5amp fuse, free of charge. The recall began on March 22, 2019. Owners may contact Jayco customer service at 1-800-517-9137. Jayco's number for this recall is 9901428. The incorrect hardware may fail to properly secure the fuel tank, possibly resulting in the fuel tank detaching from trailer, increasing the risk of a fire. Jayco, Inc. (Jayco) is recalling certain 2018 Jayco Talon and Seismic fifth wheel trailers. Incorrect hardware may have been used to secure the fuel tank that is used for refilling vehicles. Jayco has notified owners, and dealers will install the correct fuel tank mounting hardware, as necessary, free of charge. The recall began on March 29, 2019. Owners may contact Jayco customer service at 1-800-517-9137. Jayco's number for this recall is 9901430. Damaged brake lines may reduce the trailer's braking ability, increasing the risk of crash. Jayco, Inc. (Jayco) is recalling certain 2017-2019 Seismic fifth wheel trailers equipped with optional hydraulic brakes. The brake lines may have been incorrectly routed between the frame and axle, possibly resulting in the brake lines being pinched or cut. Jayco will notify owners, and dealers will inspect the brake lines, correcting and replacing them as necessary, free of charge. The recall is expected to begin in April 2019. Owners may contact Jayco customer service at 1-800-517-9137. Jayco's number for this recall is 9901426. If the flame becomes inverted, excessive heat buildup may occur, increasing the risk of a burn injury. KZRV will notify owners, and dealers will replace the existing cooktop with a cooktop by another manufacturer, free of charge. The recall is expected to begin May 3, 2019. Owners may contact KZRV customer service at 1-800-768-4016 extension 154 or 153. KZRV's number for this recall is KZ-2019-01. The incorrect label can cause the operator to overload the vehicle, which may lead to a loss of control, increasing the risk of crash. 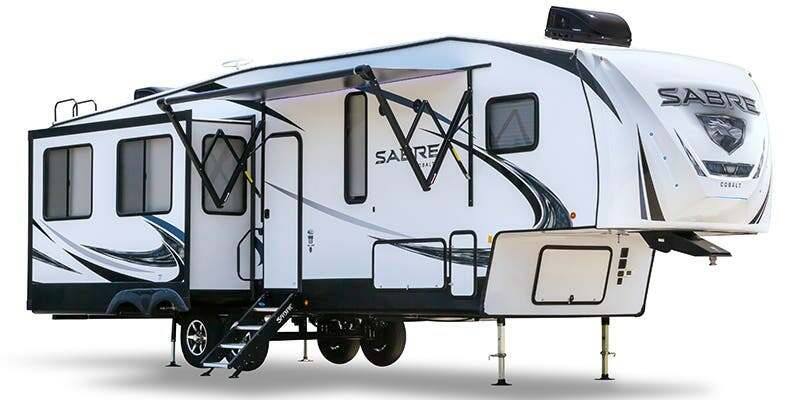 Forest River, Inc. (Forest River) is recalling certain 2019 Forest River Sabre trailers. The Federal Placard may incorrectly state that the trailer has 6,000 lb. capacity axles when the trailer actually has 5,200 lb. capacity axles. Forest River has notified owners, and dealers will provide replacement placards that indicate the correct axle weight rating, free of charge. The recall began March 8, 2019. Owners may contact Forest River customer service at 1-574-642-2100. The Forest River number for this recall is 62-0972. The incorrect connector could result in the inverter ground failing, causing the outlet user to be the ground path for electricity, increasing their risk of injury. Triple E Recreational Vehicles is recalling certain 2019 Serenity S24CB motorhomes. A connector wiring error may prevent the 120V electrical outlets from being properly ground-fault protected. All of the affected motorhomes are still in dealer inventory. Triple E dealers will replace the two pin connector with a 3 pin connector for the ground wires, free of charge. The recall began March 12, 2019. Triple E customer service can be reached at 1-877-992-9906. Triple E's number for this recall is CA#9280-1. If the cargo tray detaches, the tray may hit someone, increasing the risk of injury. Jayco, Inc. (Jayco) is recalling certain 2019 North Point Fifth Wheel recreational trailers equipped with cargo trays. The rivets that secure the stop bracket to the cargo tray may shear allowing the cargo tray to detach. Jayco has notified owners, and dealers will replace the hollow rivets with structural rivets, free of charge. The recall began March 15, 2019. Owners may contact Jayco's customer service at 1-800-517-9137. Jayco's number for this recall is 9901431. Keystone RV Company (Keystone) is recalling certain 2019 Alpine and High Country Montana recreational trailers and 2018-2019 Avalanche and Montana recreational trailers equipped with cargo trays. The rivets that secure the stop bracket to the cargo tray may shear allowing the cargo tray to detach. Keystone RV has notified owners, and dealers will replace the affected fasteners, free of charge. The recall began March 26, 2019. Owners may contact Keystone RV's customer service at 1-866-425-4369. Keystone RV's number for this recall is 19-347. The missing or improperly installed cotter pin may cause the actuator rod to detach, affecting brake performance and lengthening the distance needed to stop the vehicle, increasing the risk of a crash. 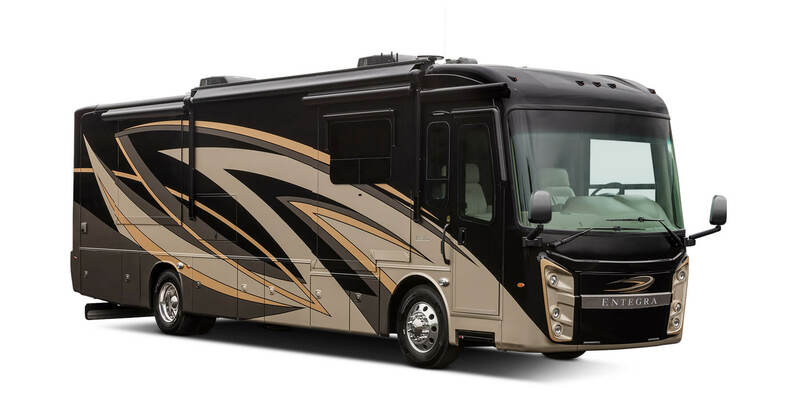 Entegra Coach (Entegra) is recalling certain 2019 Reatta motorhomes built on a Spartan chassis, equipped with independent front suspension and front drum brakes. The cotter pins may be missing or improperly installed at the actuator rod of the front slack adjuster for the front brakes. Entegra will notify owners, and Spartan Service Centers will inspect and properly install the cotter pin or install any missing pins and adjust the brakes appropriately, free of charge. The recall began on February 28, 2019. Owners may contact Entegra customer service at 1-800-517-9137. Jayco, Inc. (Jayco) is recalling certain 2019 Jayco Embark motorhomes built on a Spartan chassis, equipped with independent front suspension and front drum brakes. The cotter pins may be missing or improperly installed at the actuator rod of the front slack adjuster for the front brakes. Spartan has notified owners, and Spartan Service Centers will inspect and properly install the cotter pin or install any missing pins and adjust the brakes appropriately, free of charge. The recall began on February 28, 2019. Owners may contact Jayco customer service at 1-800-517-9137. A separation of the trailer can increase the risk of a crash. 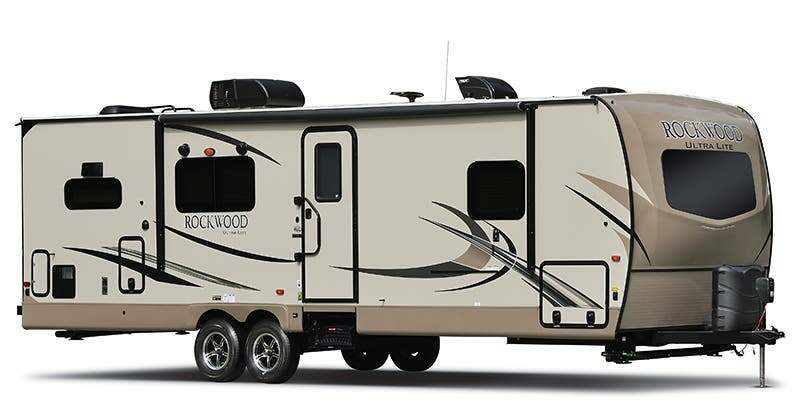 Keystone RV Company (Keystone) is recalling certain 2019 Crossroad Redwood recreational trailers, equipped with MORryde Rubber Pin Boxes. The pin box mounting bolts may have been insufficiently tightened, possibly resulting in the trailer separating from the tow vehicle. Keystone has notified owners, and dealers will properly tighten the mounting bolts for the pin box, free of charge. The recall began on February 28, 2019. Owners may notify Keystone customer service at 1-866-425-4369. Keystone's number for this recall is 19-346. If the spare tire carrier detaches, it may become a road hazard, increasing the risk of crash. Keystone RV Company (Keystone) is recalling certain 2019 Keystone Bullet Crossfire recreational trailers equipped with a rear-wall mounted spare tire carrier. The spare tire carrier was improperly mounted, possibly resulting in the carrier detaching from the rear wall. Keystone has notified owners, and dealers will inspect the trailers and correctly install the tire carrier, as necessary, free of charge. The recall began on March 8, 2019. Owners may contact Keystone customer service at 1-866-425-4369. Keystone's number for this recall is 19-345. The incorrect information may cause an operator to install a tire that is insufficient for the vehicle, increasing the risk of crash. Forest River, Inc. (Forest River) is recalling certain 2019 Cherokee recreational trailers. The Federal Placards indicate incorrect tire size information of ST205/75R15, when the vehicles are actually equipped with ST225/75R15 tires. As such, these vehicles fail to comply with the requirements of Federal Motor Vehicle Safety Standard (FMVSS) number 110, "Tire Selection and Rims." Additionally, these vehicles fail to comply with the requirements of 49 CFR Part 567, "Certification." Forest River has notified owners and sent them a new Federal Placard that has correct tire size information, free of charge. The recall began February 25, 2019. Owners may contact Forest River customer service at 1-541-644-8072, extension 4022. Forest River's number for this recall is 64-0948. If the exterior bunk bed door opens unexpectedly while the trailer is being towed, it can increase the risk of a crash. Forest River, Inc. (Forest River) is recalling certain 2018-2019 Rockwood and Flagstaff recreational trailers. The bunk bed door latch fasteners that secure the bunk bed door closed may fail, allowing the door to open while moving. Forest River has notified owners, and dealers will install the correct fasteners for the bunk bed door latches, free of charge. The recall began February 25, 2019. Owners may contact Forest River customer service at 1-574-642-8943. Forest River's number for this recall is 10D-0950.